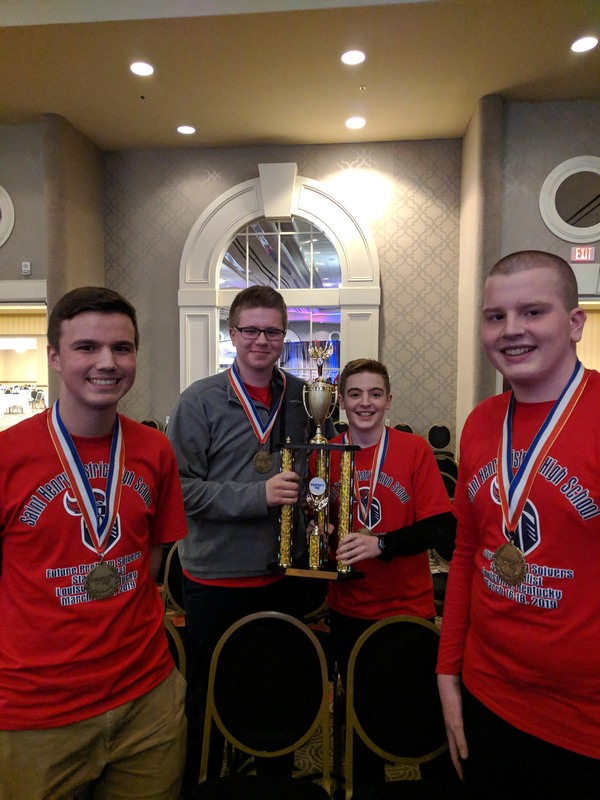 The St. Henry District High School Future Problem Solving Team is the 2019 State Governor’s Cup Runners-up! The team of Noah Francis, Griffin Gould, Aaron Ihrig, and Zach Owen competed in Louisville this past weekend. Their next stop is the International competition in Amherst, MA this summer. A big thanks goes to coaches Mrs. Ihrig and Mrs. Gould for their tireless efforts to get the team this far. Best of luck this summer, Cru!